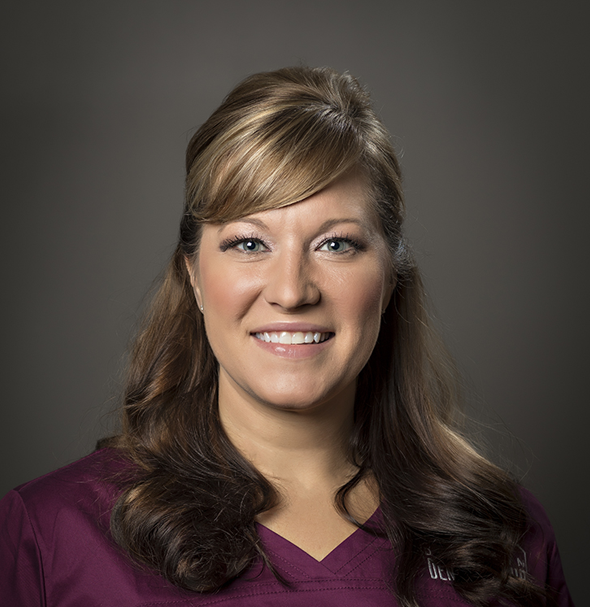 Laura L. Nickel is a Dental Hygienist with Downtown Dental Group. She loves that the staff at DDG is fun to work with and the practice is innovative and uses cutting-edge dentistry. Laura has been working in dentistry for 18 years. As a child, she enjoyed going to the dentist and had wanted to be in dentistry as early kindergarten. Most of you know Ali but you probably didn’t know that she scares really easy. Most of Laura’s best memories are scaring Ali with other co-workers. Her kids have even become involved in the task. Another favorite memory of Laura’s are the events DDG does during the month of October for Breast Cancer Awareness month. She got to participate shortly after starting with the patient reception which opened her eyes to how caring DDG is outside of dentistry. When Laura is not at work, her two children, 10 and 7, keep her and her husband of 15 years moving. They enjoy going as a family on camping trips, skiing, and golfing. She also enjoys cooking and baking, and her children have become her little helpers. Laura and her family have a golden retriever, Rosie, who is FULL of energy and loves to go to work with her husband. She is also very involved in the community as a member of St. Luke’s Lutheran Church of Wheaton, KS, Kaw Valley 4-H club, and the Boy Scouts Pack 92 of Wamego. The best way to win Laura over is through home cooked food, friendships, and traveling. Her Achilles’ heel is any time someone has a sad situation or story. She is always the first to cry. Something Laura would like her patients to know that they might not be aware of is that flossing really is the key to long-term prevention and regaining dental health. You can talk to her about it at your next appointment!